A teacher from Toronto, McKinley Raham, took his quadcopter drone out for a spin in Trinity Bellwoods Park in September 2015. However, the little flying robot wandered too far away, then blew out of sight in the wind, just like an off-leash dog would do. “It was a little shocking,” Raham said. “Immediately, my first thought was, I really hope this hasn’t landed on anyone or a car. I was a little terrified, to be honest.” He then plastered the neighboring street with handmade missing posters of the drone, a Syma X5SC model, which pinched his pocket $150 plus shipping costs. The drone relatively isn’t that expensive but it’s dear to Raham. This was how the lost drone in Toronto was found. He also went on Reddit and posted about the missing drone quadcopter and added a link to a video of when it was last seen. 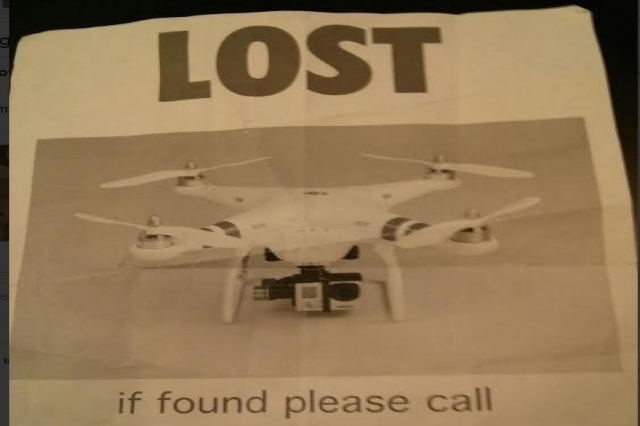 A few days later, the lost drone in Toronto was found. His efforts bore some fruits as he was happily reunited with his flying pet. An employee at a nearby restaurant saw the poster and told his boss, who had found it. They then arranged and gave it back to Raham in perfect condition. However, Raham isn’t the only person to lose a drone. 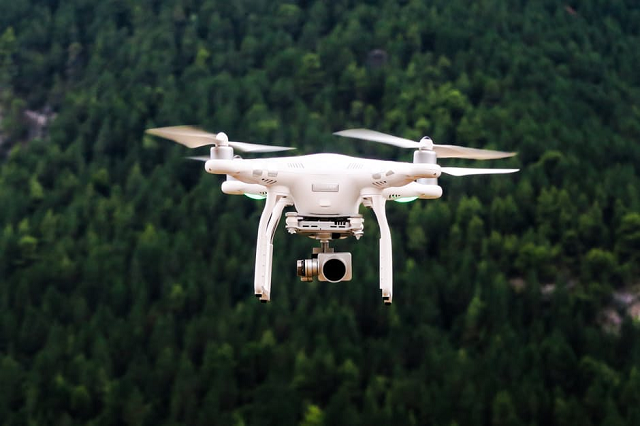 The flying device has become more popular with recreational users, photographers, and companies, and sometimes they can get lost, just like pets do. Danny Vrekalic, owner of Drones Toronto, a store, said he’s lost two drones himself back in his first six months of operating the machines. He then created a lost and found Web site through which he’d hoped to recover his lost drones. The machines are still missing, though, despite the $100 reward each he offered. He maintained the site for about a year, before shutting it down. “People just did not pick up on it,” he said. “It just didn’t really take off—play on words,” he added with a laugh. According to him, drones are not cheap as most models start at about $1,000, and some could cost as much as $10,000. Most of the drones recently produced have built-in GPS, so they hardly get lost. And if they do, many people include business cards with their contact info on them so they can find their way back home. In line with this, it is best to mount them with a real-time GPS tracker for monitoring. Similar stories like this lost drone in Toronto isn’t unique, people in other areas lose drones too. Dan Keele of Shreveport, Louisiana, started a drone lost-and-found Facebook page after a lost agricultural drone in the area was found and reunited with its owner via social media. He said he decided to create the page out of personal interest and intended it to be a kind of “clearing house for drones” to reach beyond the Shreveport area. 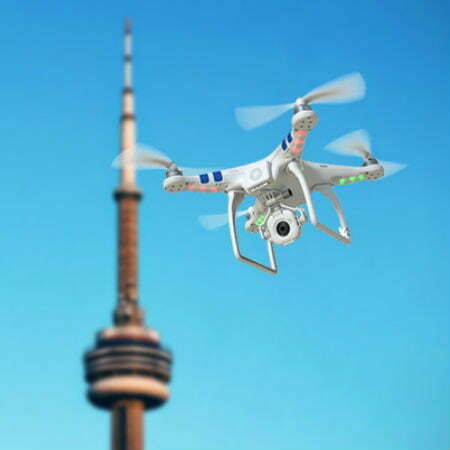 In addition, drone manufacturer Precision Hawk has also partnered with the University of Toronto to start Project Breadcrumb, which prevents the loss of drone quadcopter by tracking them over the cellular network. Losing drones is “actually not common at all,” according to spokesperson Lia Reich. However, the project, which started this year, aims to ensure that drones that get lost will find their way back to their owners or at least find a good landing spot, safe and sound. Moreover, drone owners should go over tips to avoid losing drones to be oriented.